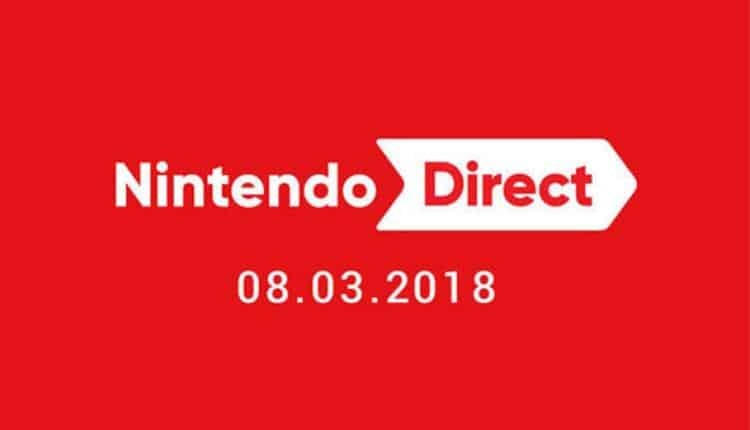 Nintendo Direct Coming March 8 | Nerd Much? The first full Nintendo Direct of the year is coming tomorrow, March 8 at 2 PM PT/5 PM ET. It will run for about half an hour and focus on 3DS and Nintendo Switch titles, especially Mario Tennis Aces. All of these titles will be launching in 2018 and as such, this Direct will give us a preview of what we can expect for the Switch this year. All Nintendo fans are sure to hang on this Direct, as it is the most important we are going to see this year, including E3. The Switch already has its headliner titles in Zelda, Mario, and Splatoon, so what is next for the console? Thus far, that seems to be Pokémon and only that. The Switch will likely never have another year as hot as its launch year, but we can likely look forward to more ports of existing games and revamps of older titles that may not have done so well on previous consoles – Mario Tennis Aces being one of them. It has been years since we have seen a decent Tennis title from Nintendo, never mind one that apparently has a story mode too. With so many favorites already being ported to the system, like Doom, Dark Souls, and Bayonetta, it is hard to say what other third-party games Switch fans might want on the console. The next Call of Duty: Black Ops IIII would make a great option and has recently made the rumor rounds, but it is entirely unconfirmed. As to first-party games, Pokémon is really the only next big one Nintendo could possibly have up its sleeve. Unless, of course, they decide to make a brand new IP that will be at least as popular as Splatoon (there is no accounting for the nostalgia the other titles hold). As much as we love the kid-friendly titles Nintendo is famous for, it would be nice to see Nintendo aim for adult themes and ideas if they were to make a new IP. That is doubtful, of course, as the money printing machine is where the kids are at and there is no reason for Nintendo not to let third-party games take care of darker themes. What would you like to see from Nintendo in 2018? Do you hope they have more than Pokémon coming? What kind of third-party port would make you excited about the console again? Let us know your thoughts in the comments below!